INDIA – Web Werks is pleased to announce that its 30,000 square feet carrier-neutral colocation data center space at Mumbai has received prestigious DC OIX-2 certification from the Open-IX Association (OIX). OIX-2 is a best-in-class global certification for data centers, looking to serve as carrier-neutral points of network interconnection. 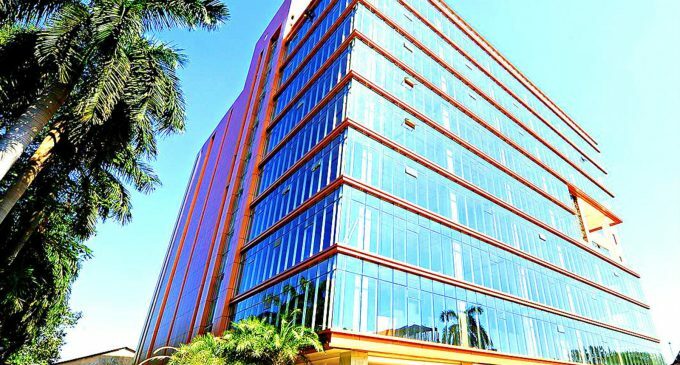 The Web Werks Mumbai facility is one of the few Indian and South Asian data centers to meet the rigorous data center requirements of this global standard. The OIX-2 certification highlights Web Werks Data center as a location offering colocation for core IP networks, content & cloud platforms, as well as non-discriminatory access to all network providers. The certification also expresses Web Werks’s position to advance OIX’s task to improve the global landscape of internet peering and interconnection, applying uniform, cost-efficient standards of performance. The Open-IX Association is a 501(c)(6) non-profit industry association formed to promote better standards for data center interconnection and Internet exchanges. Organized and operated by volunteers from the internet, the Open-IX Association aims to increase the reliability, resiliency and competitiveness of massive-scale interconnection for all. With the help of broad participation of interconnect and data center professionals, the association has successfully developed Internet exchange and data center consensus-based community standards and certified 25 data centers and 16 exchanges since its establishment in 2013. Final certification was received on ‘1st June 2017’. Web Werks is a proud supporter of Open-IX and supports interconnections and open peering. The OIX-2 data center certification defines standards for data centers like Web Werks mission-critical designed white space, inclusive of an open Internet exchange and interconnection platform. The Open-IX Association (OIX) is an Internet community effort to improve the landscape of Internet peering and massive-scale interconnection. OIX encourages the development of neutral and distributed Internet exchanges while promoting uniform standards of performance for interconnections backed by the Internet community. The Association aims to promote common and uniform specifications for data transfer and physical connectivity and improve overall Internet performance by developing criteria and methods of measurement to reduce the complexity that restricts massive-scale interconnection in fragmented markets. The OIX Board is comprised of volunteer representatives from the Internet community, including, Matthew Griswold(Chairman), Eli Sher (Vice Chair), David Temkin (Founder), Robert DeVita, Vinay Nagpal and Aaron Hughes. More information about OIX can be found by visiting http://www.open-ix.org. Web Werks Uptime Certified Tier III data center is 30000 sqf facility located in the City of Mumbai India. The data center as achieved global certifications such as ISO 9001, 27001, 20000-1, 20000-9, 22301 (Business Continuity), 27017, 27018, PCI-DSS, HIPAA , SOC 1 and 2. Web Werks Mumbai Data center Hosts Mumbai CH which is India’s Largest Internet Exchange Hub, which was created with the vision of Making Internet in India Most affordable and accessible. Web Werks Data centers also improves the stability of the Internet in India by hosting of Internet Mirror Root Servers of D, E, J, K and L making it a major carrier, content & cloud hub, ideally located for access to international sub-sea cable networks spanning India & Asia. Web Werks is an Uptime Institute Certified India-based tier III & tier IV data center service provider with 5 carrier neutral data centers in India and USA. Started in 1996, Web Werks has served several Fortune 500 companies with successful projects in the areas of web hosting, VPS hosting, colocation services, dedicated servers, cloud platform, business continuity and disaster recovery services. For more information about Web Werks Data Centers, please visit http://www.webwerks.in.